This entry was posted in Problems (math) and tagged ccss, common core, ginger ale, percent, smp, standards for mathematical practice. Bookmark the permalink. Love the PTALSMP! Can I quote them? Of course you may. The elaborations are first drafts banged out in about 8 minutes of blogging, so suggestions for revisions are accepted. I’ll believe they rounded. 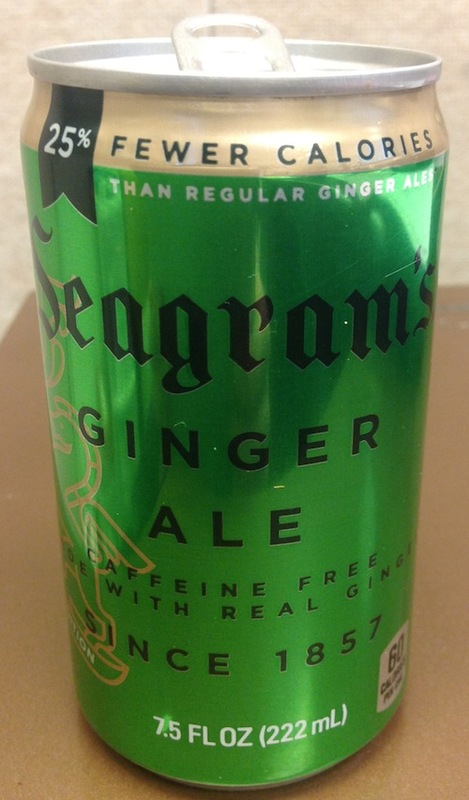 I would give the Coca-Cola company, owner of Seagram’s, a lot of credit for knowing how to maximize their profits. Finishing mrdardy’s argument, the possible values of 0.75x for x in (85,95) are those x in the interval (63.75,71.25). This barely overlaps with the other region, so the answer to your question would be that the smaller can would need to have between 63.75 and 65 calories while the larger would have between 85 and 86.7 calories. By rounding the larger count up to 90, then, they are rounding up by about as much as they can. And by rounding down the smaller count down to 60, they are rounding the smaller can down as much as possible. So both kinds of rounding contribute to about as large a discrepancy between the calorie counts as possible. How did they arrange this? Notice the absolutely weird volume of the can, 7.5 fluid ounces, which they are apparently required to use when describing the calorie density: “per 7.5 fluid ounce (222 mL)”. By comparison, I think standard coke cans are 12 fluid ounces. It’s a good bet 7.5 was selected to ensure the rounding led to as big a discrepancy between calorie counts as possible. So make the problem more interesting — what size of can will maximize the percentage difference between the two calorie counts? If you allowed calorie counts to get very small, I think this might have no answer. But I believe the FDA requires rounding only for calorie counts over 50, and presumably the can size must be in a certain range for consumers to be willing to buy. So fix a unit, like “half fluid ounce”, and determine what can size between, say between 6 ounces and 12 ounces, will maximize the percentage difference between calories. Wow – what a terrific, detailed analysis. I am thinking that this is worthy of an investigation by my precalc class sometime soon. Between this and the oreo problem we should have systems covered! I don’t know how to edit my previous comment, so here’s an amendment: it would seem from the OP that regulations require them to use actual calorie density, not rounded ones, when saying something like “25% fewer calories”, so optimizing the percentage difference as I described wouldn’t do any good. But people, especially with soda, are fixated on the actual calorie numbers. And people especially concerned with them are going to be buying the smaller cans. 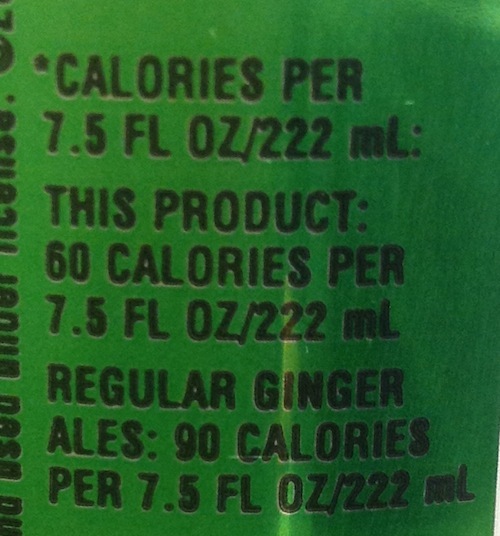 So I’d believe they’d arrange to have the calorie count of their soda and the competition (“regular ginger ales?”) get rounded to make as large an ABSOLUTE difference in calorie counts as possible. People who really care about calories will see that 60 and 90 written on the side of the can and make a decision based on that. I’m afraid that I think the most likely reason is that the person/people deciding what to do there didn’t know enough math to really figure it out, but had the number sense to know they were safe with 25%, or just made a mistake.